Gift cards can be purchased at any of our retail stores* – West Liquor & Village Wine & Spirits. The Gift Card can be redeemed at ANY of our Retail Stores* or Bars and Restaurants. Load any amount between $10 and $1000. Easy to check your points balance. Where can I buy a Trusts Gift Card? You can purchase Gift Cards from any of our 23 retail stores across West Auckland. Click on the ‘Our Stores’ tab to see locations. Where can I use a Trusts Gift Card? 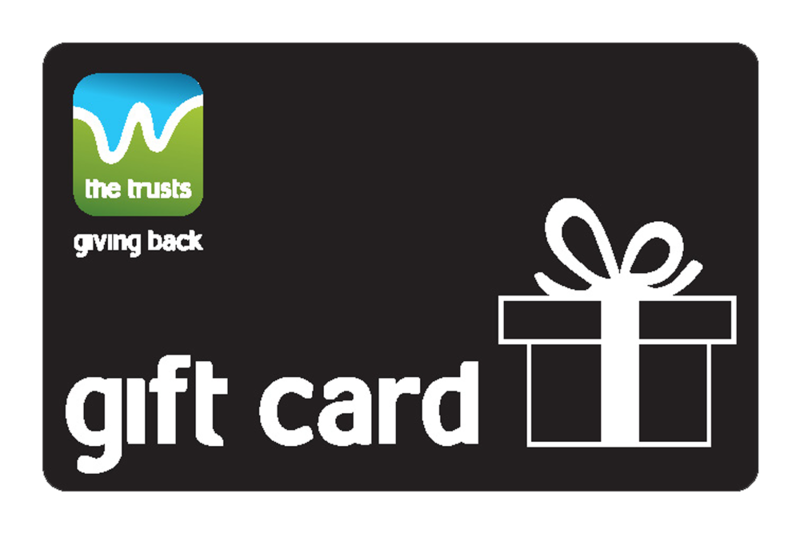 The Trusts Gift Card can be used to make purchases at any of our retail stores (excluding Mt Albert Pak n Save) or restaurants & bars, across West Auckland. If you need any assistance, please call our Support Office on 09 826 2620 or send us an email. What if the item I want to purchase costs more than the value on my Gift Card? If your purchase is more than the amount available on your Gift Card, you can top up the remaining amount using any other form of payment accepted in our stores such as cash, EFTPOS, credit card or another Gift Card. Can I top up my Gift Card? No, the value on the Gift Card cannot be increased once it’s purchased. What should I do if my Gift Card is lost or stolen? Please treat your Gift Card like cash. You are responsible for the safe keeping of your Gift Card once it’s purchased from our stores. Unfortunately we won’t be able to replace or refund lost or stolen cards. Please read our Gift Card Terms and Conditions for additional info. Can I return or refund a Gift Card? No. Gift Cards cannot be returned or refunded. Please read our Gift Card Terms and Conditions for additional info. Does my Gift Card balance expire? The balance on your Gift Card expires a year from when the Gift Card was first purchased. The expiry date of your Gift Card and the remaining balance can be easily checked here. Click here to read the full Gift Card Terms and Conditions.